Turkey strikes on the positions of the military wing of the party of the Syrian Kurds “Democratic Union” (PYD) in Syria were inflicted as a response, reports Reuters with reference to the Prime Minister of Turkey Ahmet Davutoglu. Davutoglu also said that the Kurds must leave the area around the city of Azaz in the North of Syria, reports RIA “Novosti”. Turkish artillery on Saturday night opened fire on the Menagh Airfield in the North Syrian province of Aleppo, liberated Kurdish military. Earlier on Saturday, Turkish Prime Minister Ahmet Davutoglu said that the Turkish armed forces, if necessary, can conduct a military operation against militants of the party of the Syrian Kurds “Democratic Union”. Turkish Foreign Minister Mevlut Cavusoglu, on 9th February, said that the US must make a choice between Turkey and the Syrian Kurdish Democratic Union Party (PDS) associated with the banned in the country Kurdistan workers party (PKK). On Sunday, with a similar statement was made by President Recep Tayyip Erdogan. He also urged the United States to make a choice between cooperation with the Turkish authorities or the cooperation with the Kurds. In particular, Erdogan expressed his indignation over the visit of the envoy of the President of the United States to the Kurdish militias in the Syrian city of Kobani. 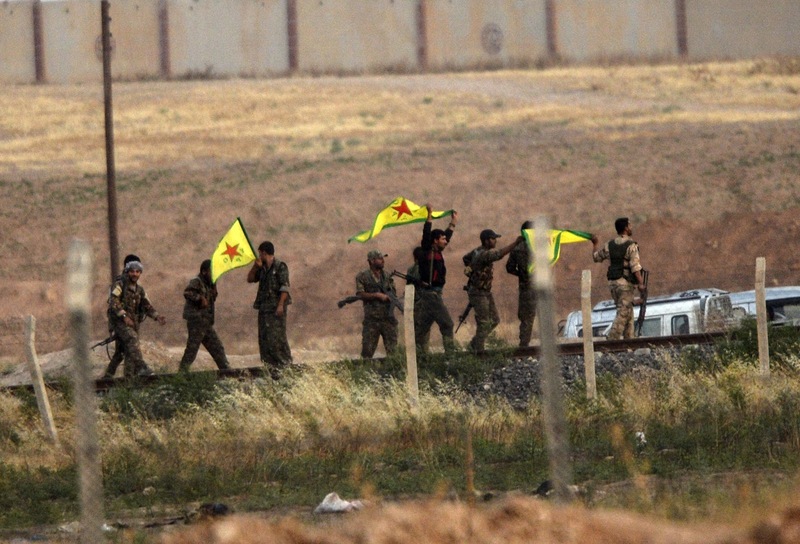 Later the Wall Street Journal reported that, according to Washington, Turkey’s position regarding the Kurds is one of the main obstacles to a political settlement in Syria and hinders the fight against the terrorist group “Islamic State”. VZ.ru previously analyzed the ultimatum of Erdogan and the reaction of the United States. Recall that on the 26th January, the head of the Syrian Kurdish party “Democratic Union”, Saleh Muslim, said that he has not received an invitation for talks to resolve the Syrian crisis in Geneva. Thus, according to the office of the special UN envoy for Syria, Staffan de Mistura, new invitations for the second round are not planned. The Foreign Minister of Turkey, Mevlut Cavusoglu, in January, said that Ankara will boycott the peace talks, if they will invite representatives of the “Democratic Union”.